AJS very much were the dominant force at the Scottish Six Days Trial in the post war years and was led for much of the time by Hugh Viney who won the tough trial at his first attempt in 1947 and then over the next two years made it a hat-trick only being beaten in 1950 by fellow AJS rider Gordon Jackson, a four time SSDT winner. AJS Motorcycles manufactured by Associated Motor Cycles (AMC) at their factory in Plumstead, south east London. Whilst Triumph monopolised the attention at the ISDT both Royal Enfield and AJS fielded some of the best riders available on world rides of the time and Hugh Viney was as experienced at the checks of the ISDT as he was at the sections of the SSDT. The 1953 ISDT was saw Great Britain field one of it’s dream teams of factory aces all of whom dominated the sport for many years, such as Jim Alves who went on to take Triumph to trials fame designing the Trials Tiger Cub for Triumph becoming one of the most popular clubman trials bikes of the era. 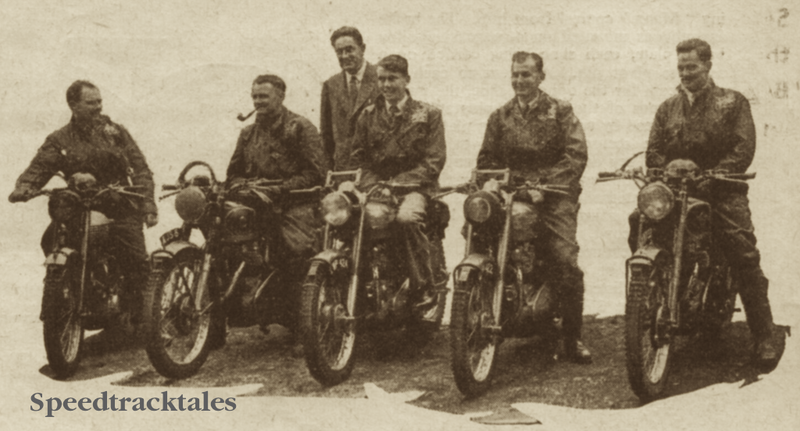 Hugh Viney was made team captain with his 500cc AJS, Alves on a 650cc Triumph, Jack Stocker 500cc Royal Enfield, Johnny Brittain 500cc Royal Enfield, and Bob Manns 500cc Matchless. For their efforts they won the International Trophy and today was the last year the British Team, once a dominant winner of the event, won the overall team prize for the much cherished trophy, although the team has been close to winning a few times it for now appears an elusive a quest as the hunt for the Holy Grail or the Football World Cup. Hugh’s bike has been held in private ownership since it was purchased when put on show after the end of the event, used competitively for a short time and assisting in commuting, its owners appreciating the uniqueness have retained the bike until a recent bereavement meant a chance to see the celebrated bike, which had been put through a restoration a few years ago. 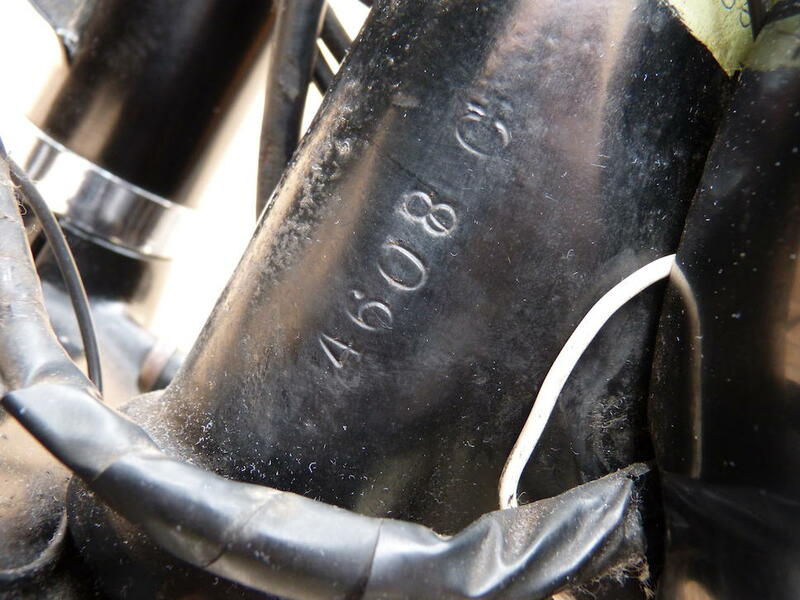 The bike was auctioned by Bonhams and cost the buyer a princely £16,100 the detail from the sales catalog and photos can be seen below. Riding this wonderfully preserved machine, Hugh Viney, competitions manager at Associated Motor Cycles (AMC) and one of this country’s best-ever trials riders, captained Great Britain’s Trophy team to victory in the 1953 International Six Days Trial (ISDT), held that year in Czechoslovakia. Viney’s team-mates represented the cream of British off-road talent, comprising Jim Alves (Triumph), Bob Manns (Matchless), Jack Stocker (Royal Enfield) and Johnny Brittain (Royal Enfield). It would be Britain’s last win in the Trophy competition. 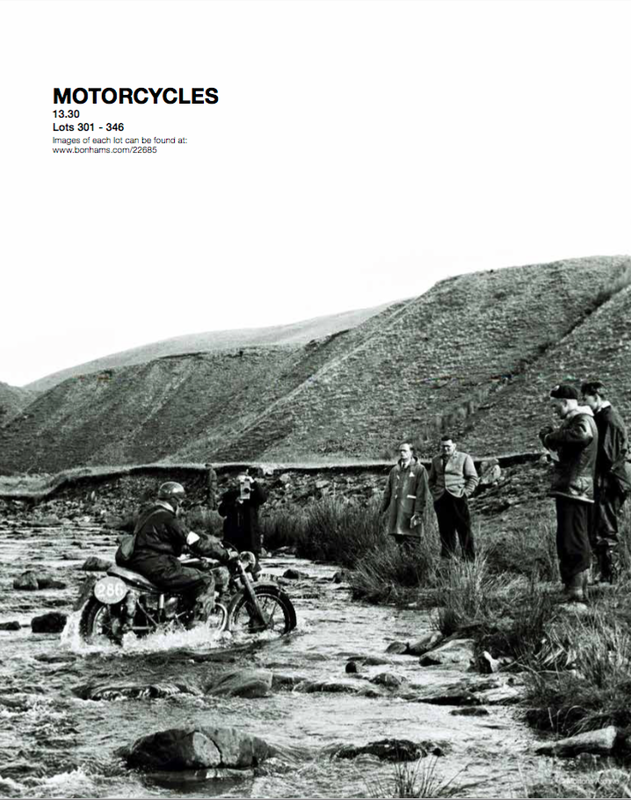 Viney was pictured in the motorcycling press mounted on ‘AJS 6’ and a photograph of him riding it in the ’53 ISDT was used for an AMC advertisement the following year, appearing on the front cover of ‘Motor Cycling’ (see copies of press cuttings on file). 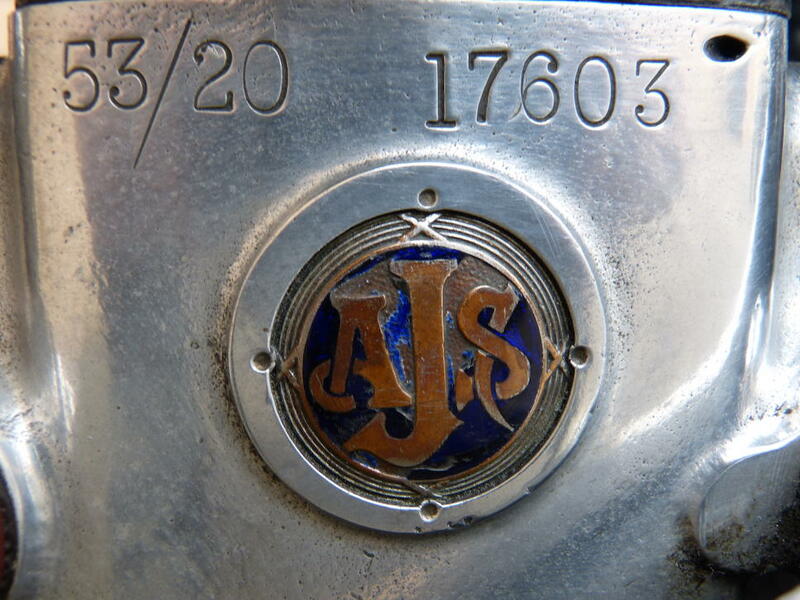 The distinctive registration, ‘AJS 6’, was one of a batch of 12 numbers, released by the Ross and Cromarty licensing authorities, which had been acquired by AMC, the machines being transported to Scotland for inspection. Shortly after the ISDT, the team’s bikes were displayed with great pride at the Earls Court Motorcycle Show. 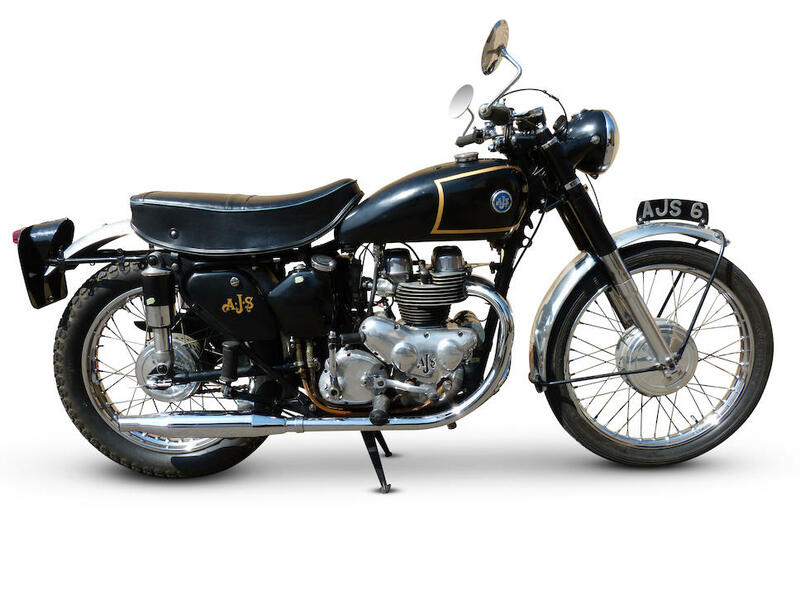 It was at this show that a family friend of the vendor, Albert ‘Fletch’ Fletcher placed an order with AMC for any one of the team’s bikes and subsequently took delivery of Viney’s, ‘AJS 6’. 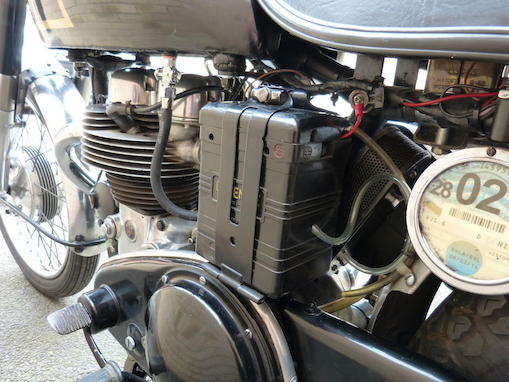 Albert, who worked at the Renold Chains research and development department in Heald Green, Manchester was a keen weekend off-road rider and used the AJS frequently in local club competitions. 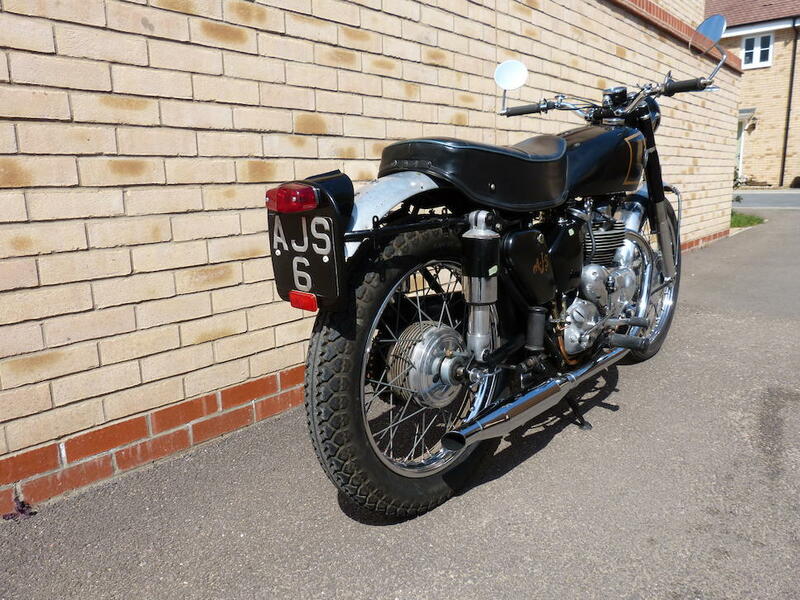 However, due to some difficult personal circumstances, Albert reluctantly decided to part with ‘AJS 6’, which he sold to the vendor’s father in 1964. 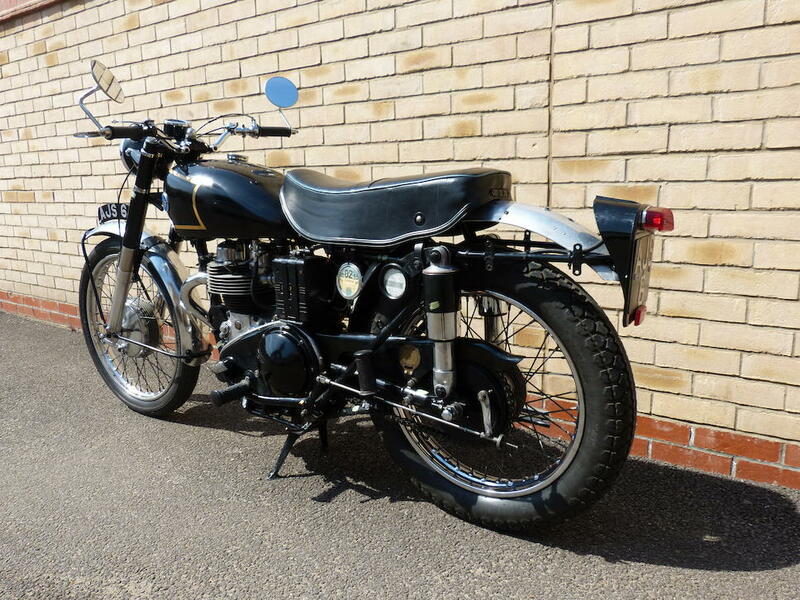 The machine’s new owner, who also worked at Renold Chains but at the Burnage factory in Manchester, was without transport at that time having recently parted with his beloved Velocette MSS in order to fund the purchase of a new house in Heald Green. 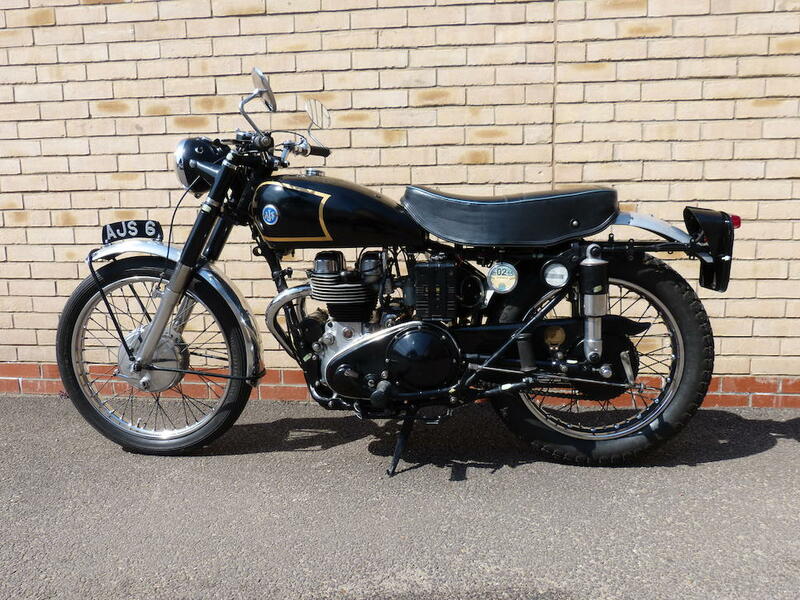 In 1976 ‘AJS 6’ was restored for its owner by Geoff Allison of Paintwork Express in Wisbech, Cambridgeshire. The restoration was completed in 1978 using the original parts plus a new saddle and control levers, and rebuilt wheels and mudguards. 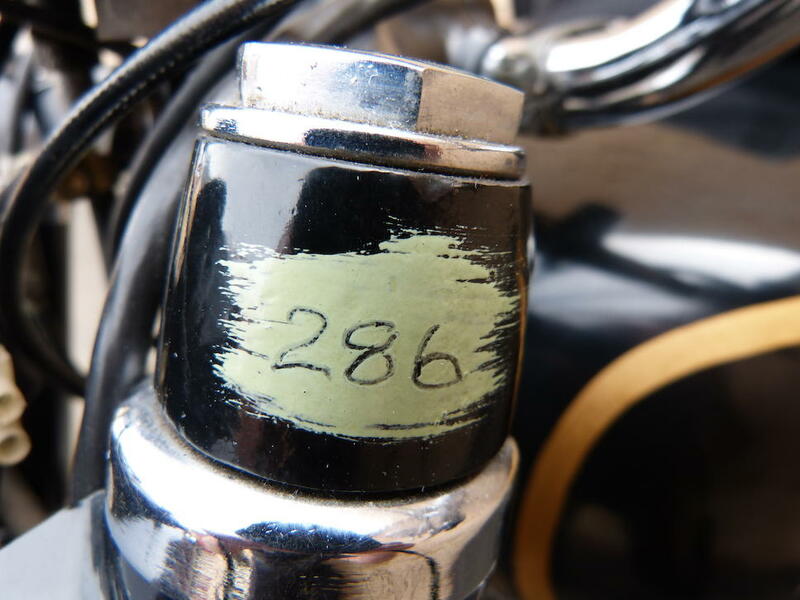 Prior to restoration, the scrutineering marks recording Viney’s 1953 competitor number, ‘286’, were carefully traced and repainted later on the fork shroud. 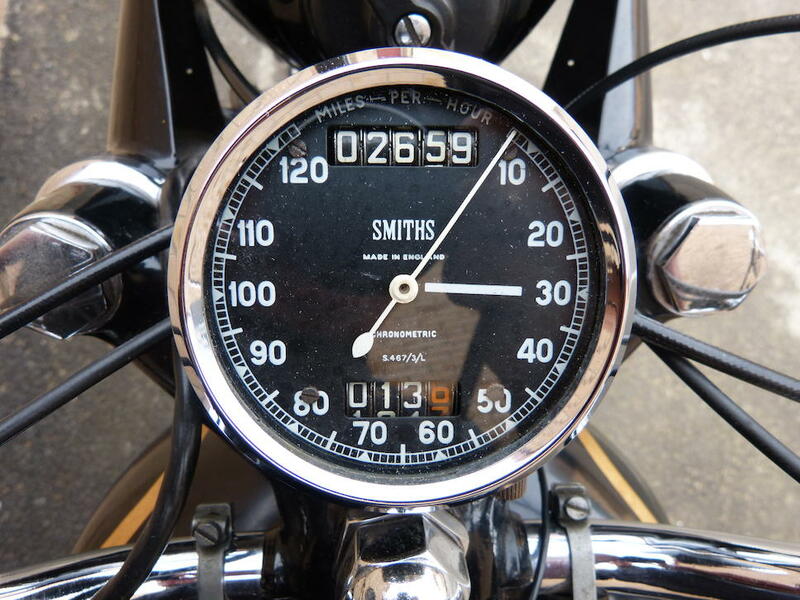 After completion the AJS spent some time in South Africa with its owner. 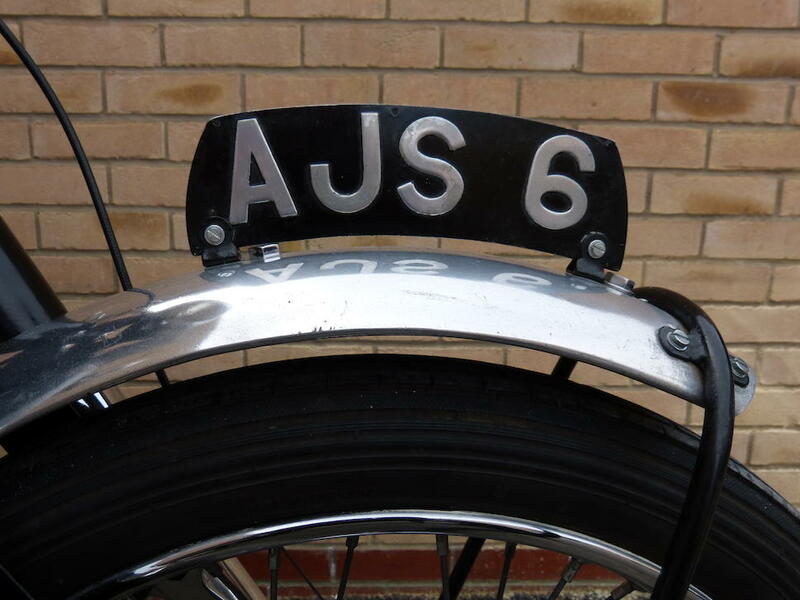 ‘AJS 6’ has been in the vendor’s family now for some 50 years. 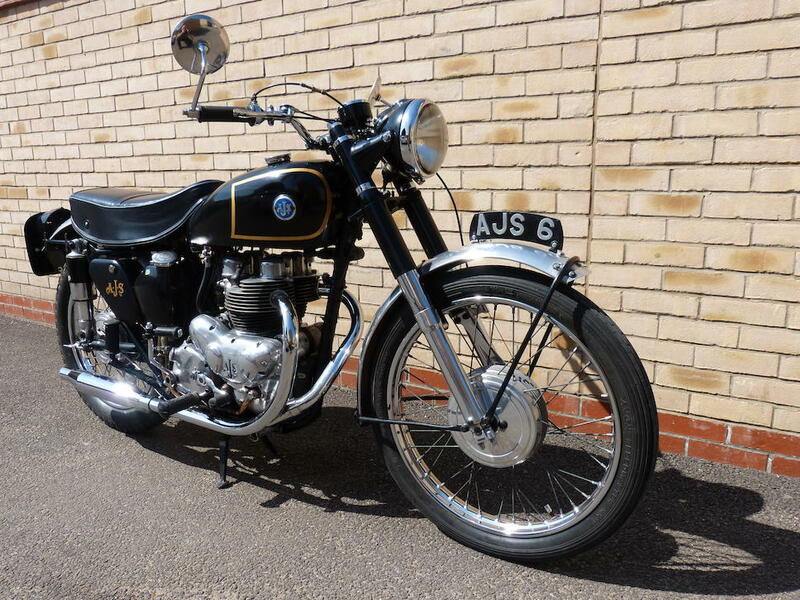 With the recent passing of his father, the AJS has come into the vendor’s possession and he has been riding it whenever an opportunity presents, reporting that it is a great runner and handles beautifully. Hugh Viney would doubtless be very proud to know that ‘AJS 6’ still has that magic even after 60-plus years. 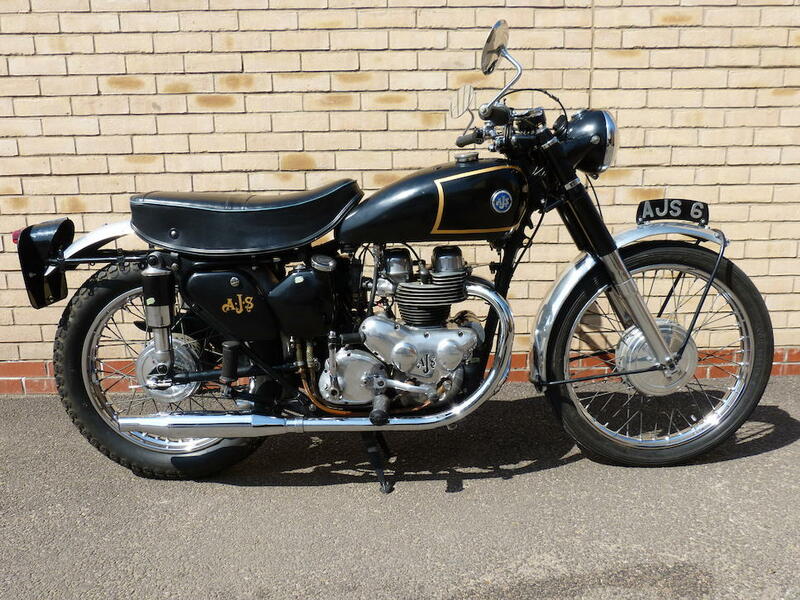 Presented in beautiful condition, this historic AJS is offered with the aforementioned press cuttings, AJS & Matchless OC dating letter, V5C document and the original logbook showing that it was first registered to Associated Motor Cycles. An absolute ‘must have’ for the serious AMC collector.